FRANCE. Paris. 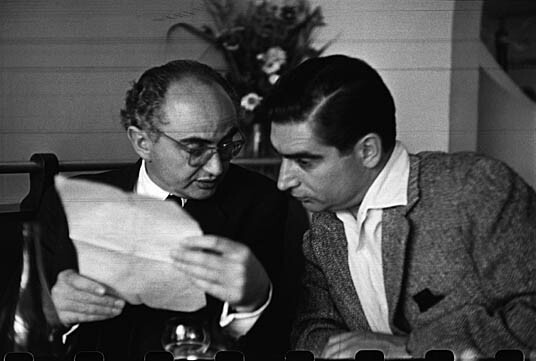 The photographers David SEYMOUR "Chim" (left) and Robert CAPA. 1952. The archives contains images shot by Magnum photographers such as Henri Cartier-Bresson, Robert Capa, Elliott Erwitt, Leonard Freed, Bruce Davidson, Rene Burri, Eve Arnold, Dennis Stock and more than 80 others, the agency says. It contains ‘images of icons from Picasso to Marilyn Monroe, from Sinatra to Gandhi, and from Castro to a young Queen Elizabeth’, which coexist in the collection with depictions of international conflicts, political unrest and cultural strife. 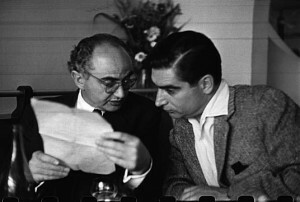 Capa’s famous images from the Spanish Civil War and the D-Day landings are also included in the archives. More here. For a preliminary inventory at the HRC, see here.